Two years ago the Land Trust Alliance celebrated a victory two decades in the making: the passage of the permanent enhanced tax incentive for donations of conservation easements. Tom and Sally Wilkins, eighth-generation New Hampshire foresters, have protected more than 520 acres of land in several New Hampshire towns. 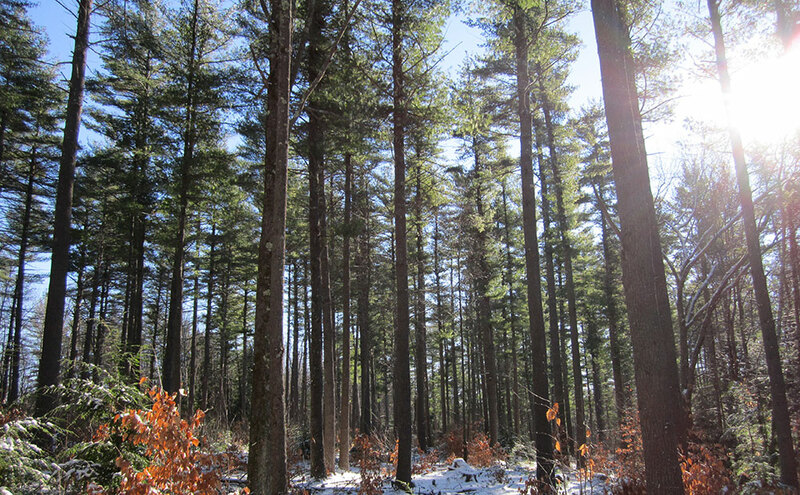 In recent years the couple has conveyed five conservation easements on 14 different parcels of land to the accredited Society for the Protection of New Hampshire Forests (SPNHF). The donated easements will allow the family to continue harvesting timber for its family owned and operated sawmill while guaranteeing that the land remains undeveloped and open to the public. These protected areas are home to diverse wildlife, such as songbirds, amphibians, deer, moose and bears. By ensuring that the lands remain intact, the easements help to safeguard the wildlife’s habitat. This is particularly important because the Wilkinses live in a part of the state with the highest population and some of the strongest development pressures. Edith Pepper Goltra is a frequent writer for Saving Land.